This weekend, my niece married her love. I wanted to make a very special card to commemorate this union. 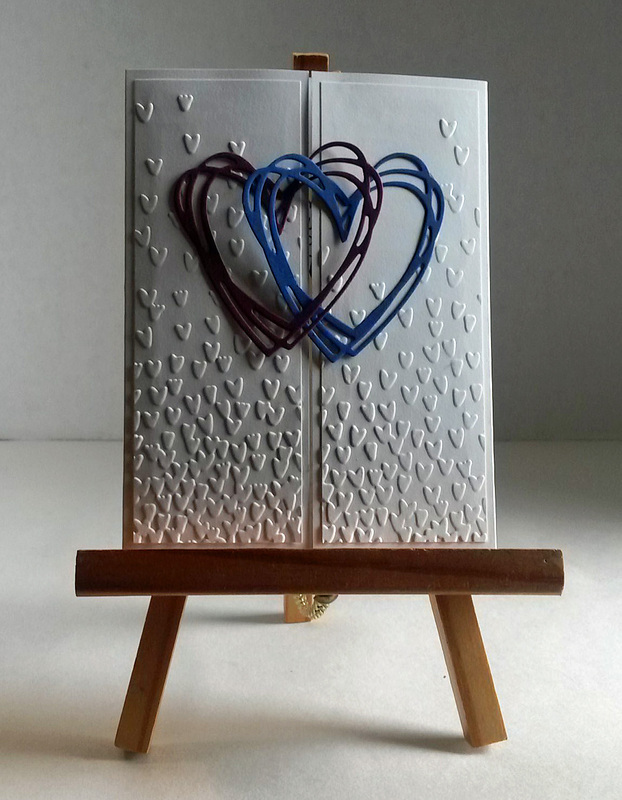 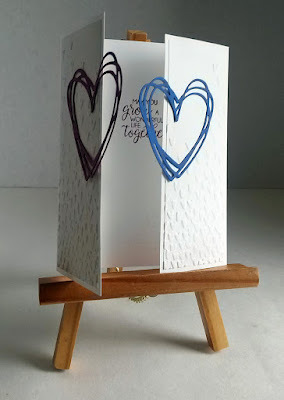 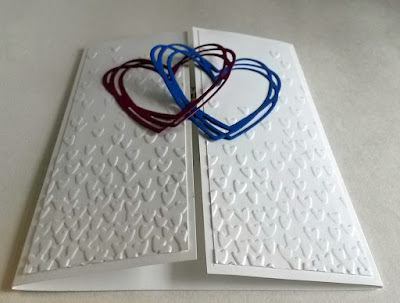 The theme of "two hearts become one" has always appealed to me when making a wedding card. 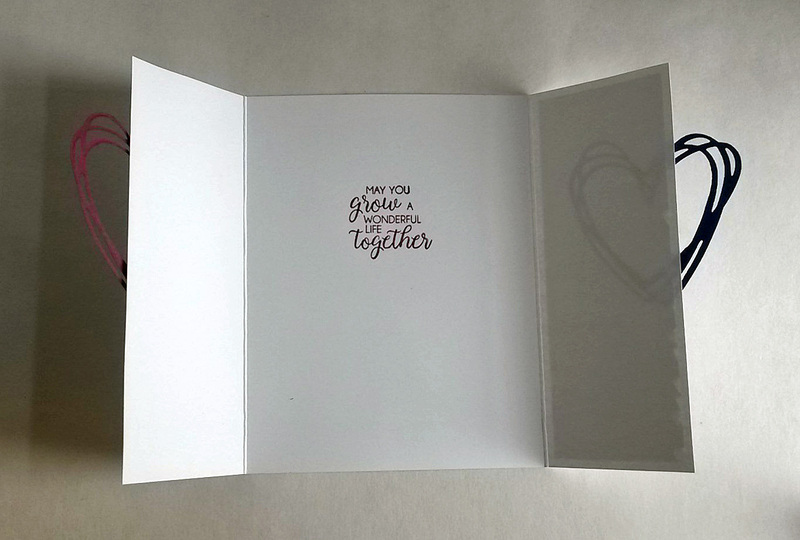 Not to break from tradition, I went with the same theme for this card. 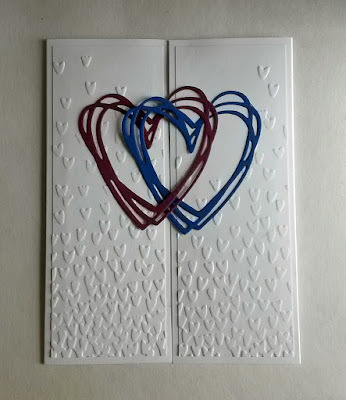 Only, I changed it up a tad by making the hearts become intertwined. 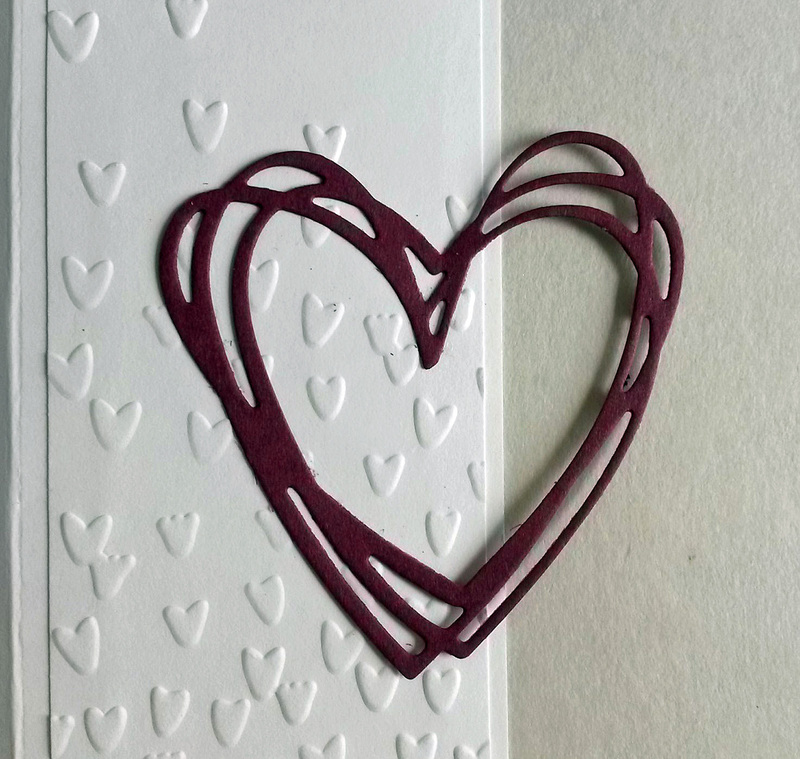 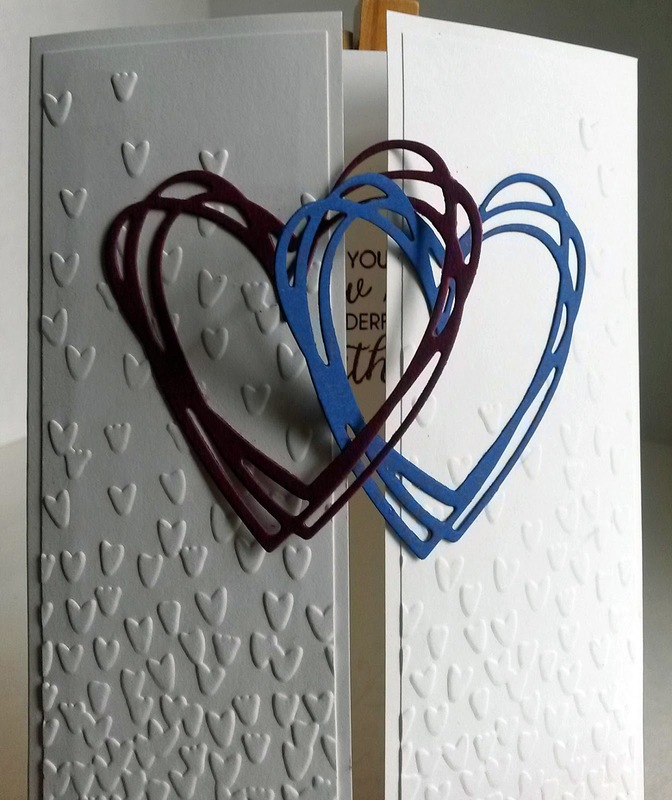 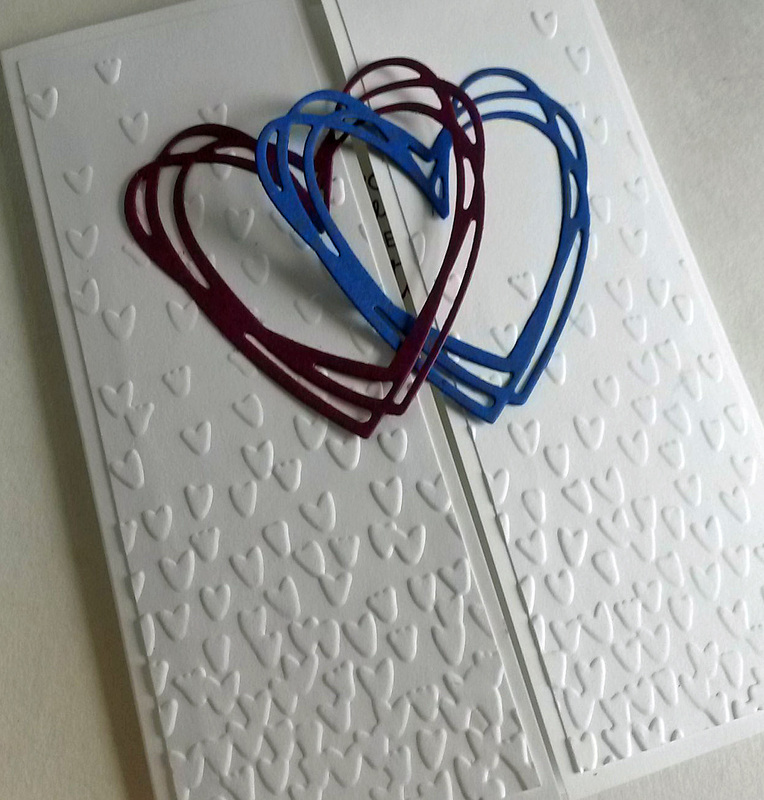 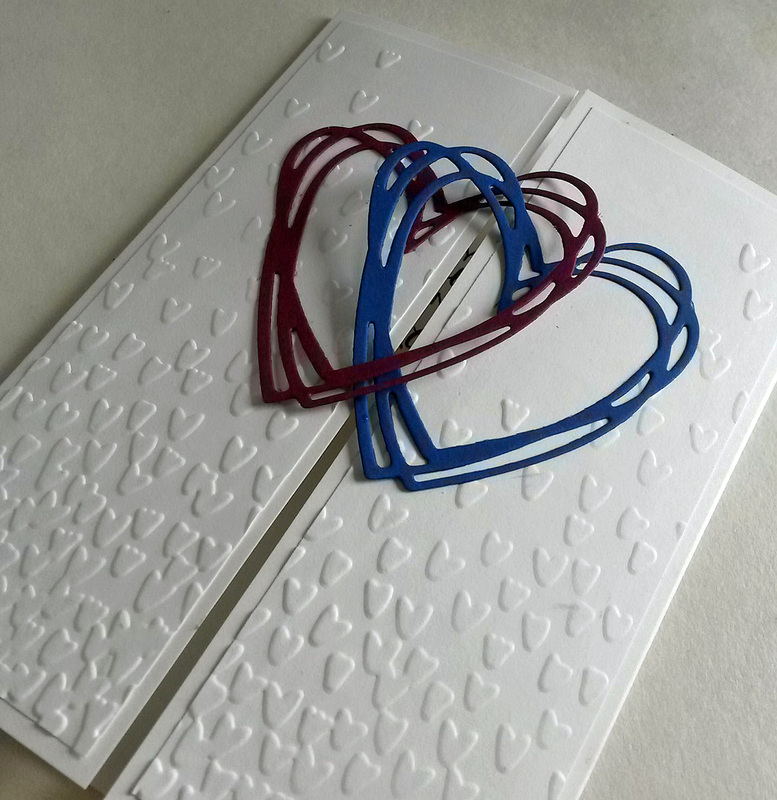 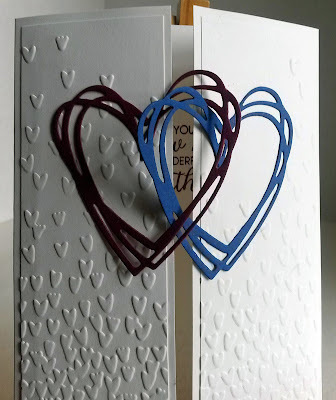 the embossed falling hearts on the front of the card make an impressive showing. 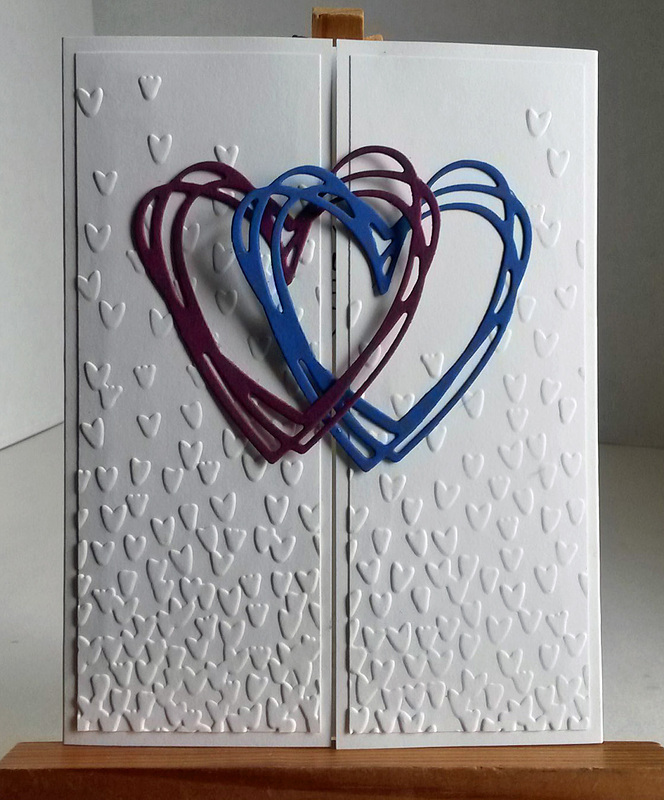 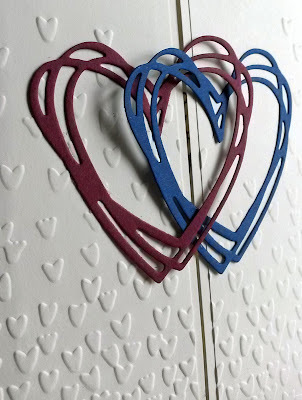 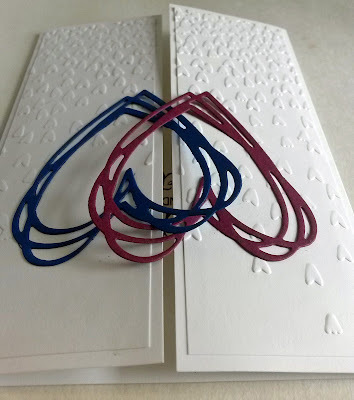 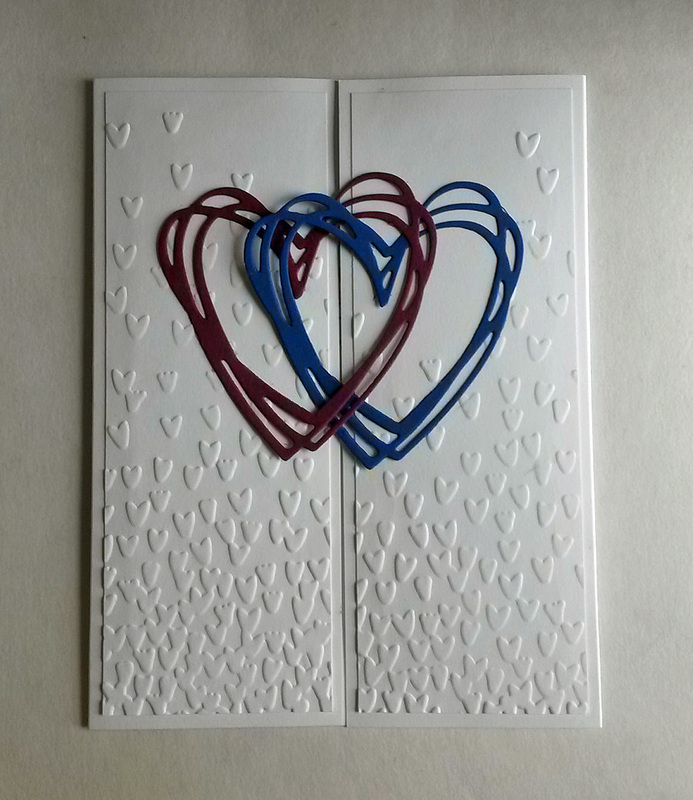 A gatefold card, one of the hearts is mounted on either side of the gate. When the card is closed, the blue heart nestles inside the purple heart. 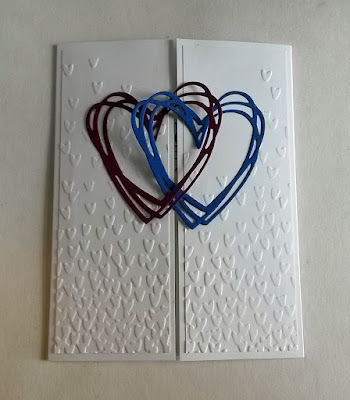 You can see in the photo below how the hearts become enmeshed. 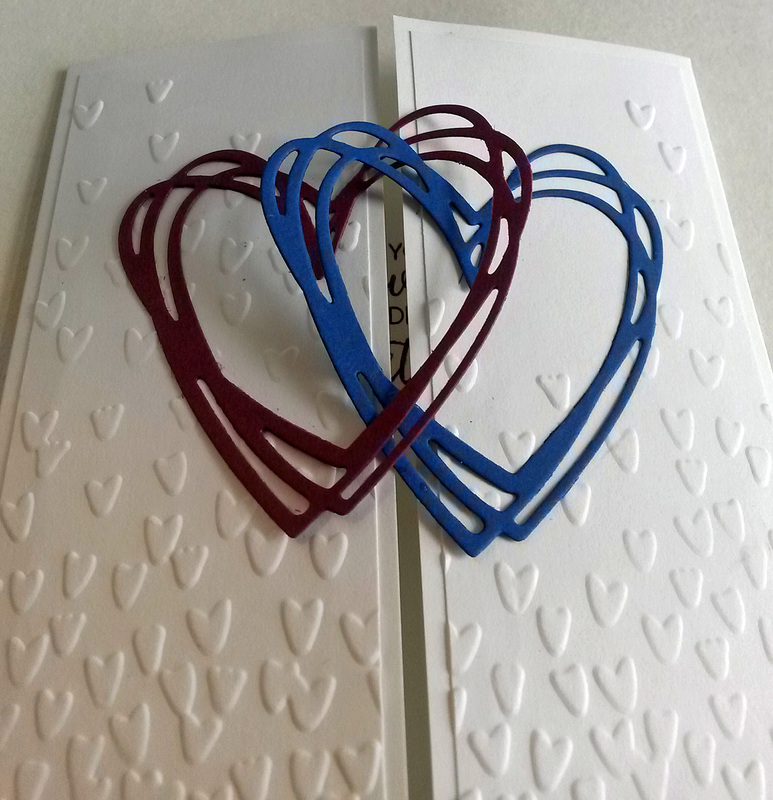 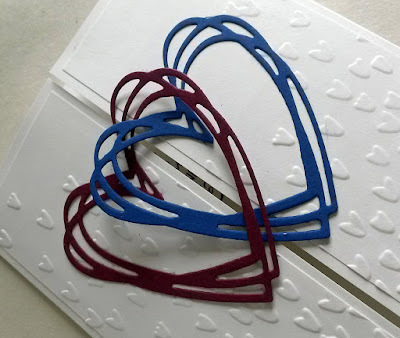 This photo shows the hearts being released a bit to show the interior of the card. 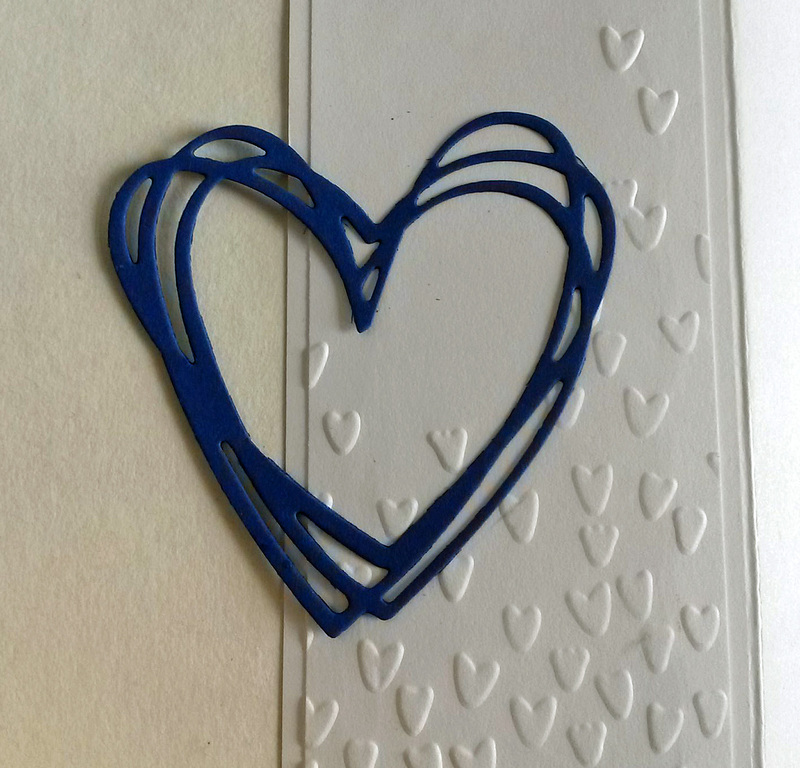 I love the sentiment I found -- part of the Beautiful Bouquet set on page 92. It is so perfect for a wedding, reading, "may you grow a wonderful life together". Set on an easel, I am showing the card partially opened. 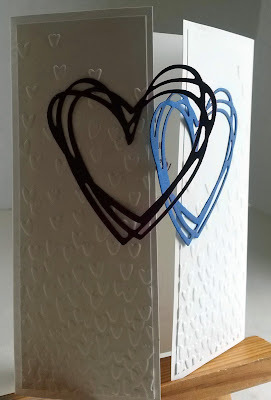 I intended, in this photo, to show how the blue heart carefully slipped inside the purple heart. 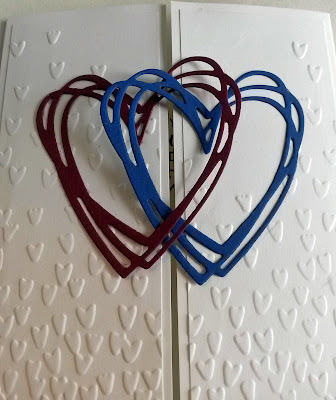 A close-up of the enmeshed hearts. in the Sunshine Wishes Thinlits set, found on page 216.
so you can see how I mounted the hearts onto the card. 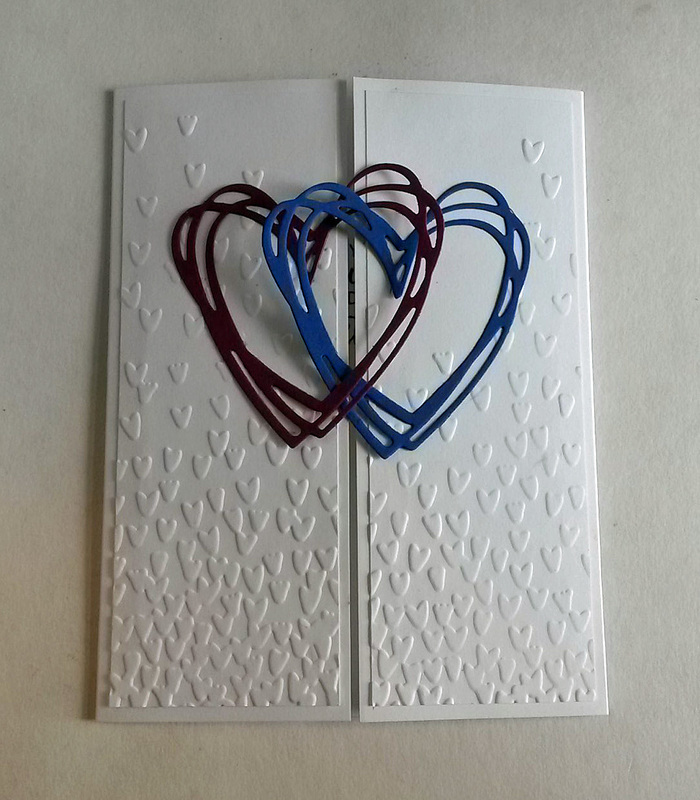 Wishing a long and happy marriage to Kevin and Megan. 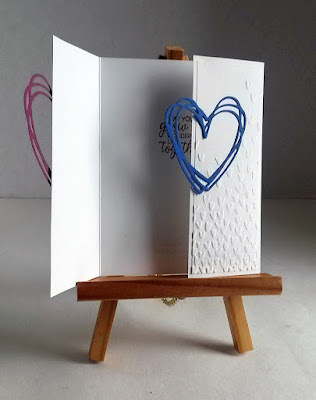 This is so pretty and I always love your cards and ideas. Thanks for always supporting and linking up at #overthemoon link party. Have a great week! 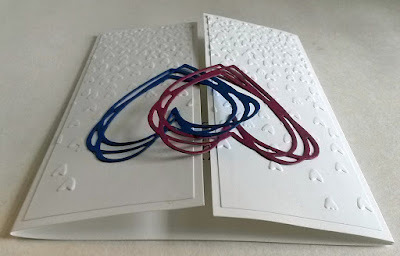 SERENDIPITY PAPER: AM I UPCYCLING OR RECYCLING?